Over the past year and a half, Wilmer Cutler Pickering Hale and Dorr chief administrative officer Marian Freed has learned every tiny detail about her firm's new downtown Manhattan office space. The material used to construct the massive new boardroom table? Carrara marble (the same kind of stone Michelangelo used to sculpt his David, by the way). The height of the ceilings? Nine feet, six inches. The visitor seats in partner offices? An ergonomically correct model known as the "freedom chair." On Monday, those chairs and every other feature in the fully customized space began to get a workout, as the firm's 350 New York employees—including 200 lawyers—arrived for their first day of work at 7 World Trade Center. The move shifts Wilmer's New York office to lower Manhattan after 13 years in midtown, and makes it the first major law firm to relocate downtown since the September 11, 2001, terrorist attacks that destroyed the World Trade Center's twin towers and drove many businesses out of the area. While neither Wilmer nor Silverstein Properties—the landlord of four of the six buildings that will ultimately make up the new World Trade Center—will discuss the financial terms of the 20-year lease the firm signed in April 2011, New York office head Charles Platt says the firm is paying "substantially less" than it did at its previous home at 399 Park Avenue. In its new space, Wilmer occupies 210,000 square feet spread across five of the highest floors in the 52-story building, with floor-to-ceiling glass walls offering panoramic views of the city. Options allowing Wilmer to take over more space are built into the lease, which also has a unique cost-sharing clause related to any improvements made to the building that result in energy being used more efficiently. Platt says the firm needed to move its New York operations because the Park Avenue space had reached capacity, in part because of the 23 attorneys that have joined the office so far this year. Relocating downtown, he adds, was not hard to sell to Wilmer employees, though some will now have longer commutes. "People are really welcoming it because so much of the focus on New York City is downtown and Brooklyn," Platt says. "Midtown is for tourists. Some people are looking at it as a reflection of the firm, which is very young, dynamic, and embraces change." As electronic documents and computer research take over from hard copies and books, Platt notes, offices no longer need to accommodate the mountains of paper they once did. "Our offices will be configured so we won’t need as much hard copy," Wilmer's Platt says. "It’ll be pretty exciting to unleash ourselves from these things." One example of how the new offices differ from the old: the space traditionally known as the library is called the "Commons." While it does contain some books, it also has room for lawyers to work remotely with wireless Internet, take a break with a Wii video game system, and sip a latte at the coffee bar. Jeremy Moss, senior vice president of leasing for Silverstein, says a growing number of law firms—including Proskauer Rose; Covington & Burling; Dechert; and O'Melveny & Myers—have looked to new construction as their New York leases come up for renewal over the past decade. Firms that go that route, Moss adds, can often house the same number of people in 10 percent to 15 percent less space because of more efficient floor plans typical of new buildings. "Because law firms spend so many hours in the space, and use it so intensely, they really benefit from new building advances," he says, citing column-free interiors, the ability to use fire stairs to move between floors, and the lack of bulky convectors taking up space between windows and the rest of the office. 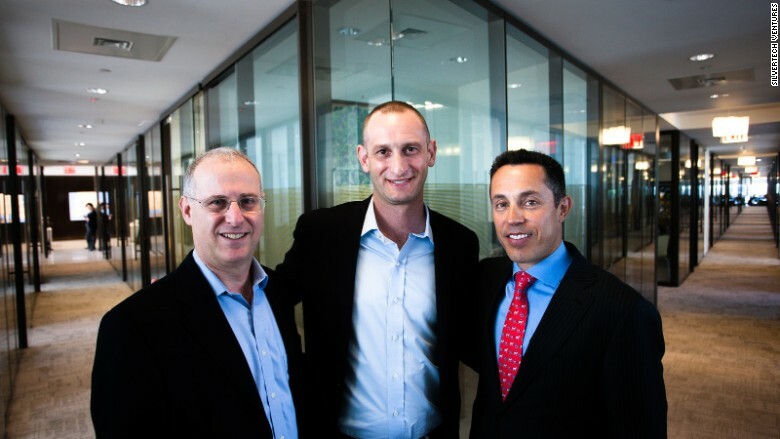 To negotiate the new lease, Wilmer relied on retired real estate partner Joel Sirkin and Boston real estate partner Paul Jakubowski. A Kaye Scholer spokeswoman said Monday that the partnership has approved the move and is now working to negotiate a lease in the Boston Properties-owned building, which is scheduled to open in 2014. Crain's New York Business reported earlier this month that Kaye Scholer is expected to take 260,000 square feet in the 55th Street property. Renewing the lease on its current New York space was not an option, Crain's reported, because the building's owners plan to tear it down once all the current tenants' leases expire. Akerman Senterfitt, meanwhile, will also be moving its New York operations, which include 45 lawyers, from 335 Madison Avenue to 666 Fifth Avenue. Akerman said in a statement that it plans to move in January 2012 to the new 48,000-square-foot space, which is 20 percent larger than the offices the firm now inhabits. Steven Polivy, Akerman's New York managing shareholder, said in the statement that the new space will be much more efficient than the firm's current offices. A bit to the south, Cozen O'Connor is planning to relocate its Philadelphia headquarters from 1900 Market Street in the Center City district to One Liberty Place, Philadelphia's second-tallest building. 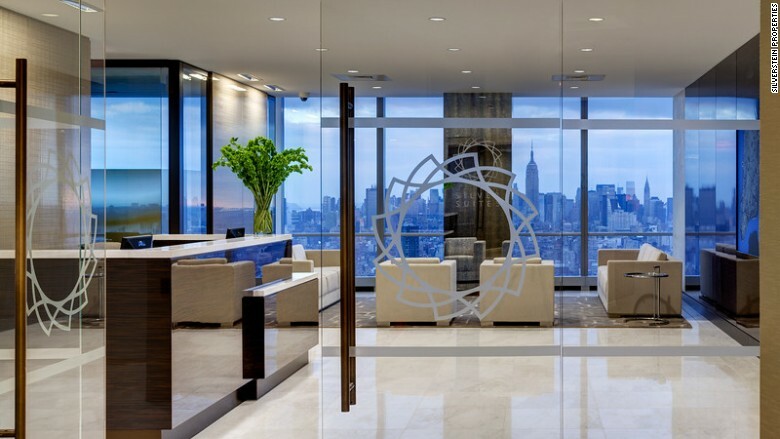 Cozen said in an announcement issued Friday that it signed a 17-year lease to occupy approximately 200,000 square feet on nine floors at One Liberty Place starting in the spring of 2015. The firm said it plans to begin customizing the space, which is owned by Metropolis Investment Holdings and currently occupied by Reed Smith, in spring 2014. Cozen now has 215 of its 500 attorneys in Philadelphia, as well as 250 staff members. Cozen's current space has been something of an annoyance over the past year. The firm sued its landord 1900 Market GP in July 2011, claiming the property owner had failed to adequately maintain the space—including the elevators and lobby—in line with commercial standards. Through the suit, which went to arbitration in May, the firm hoped to get out of its lease before it expires in 2015. A firm spokesman confirmed Monday that its current lease expires in 2015 but did not have an immediate comment on the current status of the landlord dispute. Like Wilmer, Cozen looked internally for lawyers to negotiate its new office lease: Jeffrey Leonard, who cochairs the firm's real estate practice group, and real estate member Adam Silverman. Drinker Biddle & Reath partner David Ebby represented Metropolis. Copyright 2012. ALM Media Properties, LLC. The only way is up. Every bit will help push toward filling out T1 and T4 and hopefully spur the completion of 2 and 3. Wilmer Cutler Pickering Hale and Dorr’s chief administrative officer Marian Freed has been taking it all in. Exuberant to be part of living history, she has relished the details of her new office, the 7 World Trade Center, a model rebuilt where the third tower collapsed on September 11. The height of the ceilings, the make of the tables, the ergonomic chair models known as “freedom chairs” — she enjoys contemplating it all. And the 7 WTC is a deal. Firms have cowered away from the fateful World Trade Center area, so rent’s cheaper than it was at Wilmer’s previous location — “substantially less” says New York office head Charles Platt. They will occupy 210,00 square feet across the the highest five floors of the 52-story building. Wilmer made the move after adding 23 attorney’s to their already hefty outfit. On Monday, 200 lawyers of their 350 set into the new office. In their place they will have a “commons” instead of a library, which will have in addition to books wireless Internet for a relaxing surf on the information highway and also a Wii game system and coffee bar. The new floor plans are also hip and up to date, efficiently able to house the same number of people in 10 to 15 percent less space. 7 WTC is part of the downtown revival, as the phoenix that was sunk by terrorist madness rises from its ashes. One World Trade Center will soon be their completed neighbor. Formerly known as the Freedom Tower, this epic erection will stand a symbolic 1,776 feet — the tallest building in the Western hemisphere. After becoming the first tenant to implement New York City's Energy Aligned Lease Clause, the law firm WilmerHale has announced another environmental milestone for its offices at 7 World Trade Center: LEED for Commercial Interiors Gold certification. WilmerHale announced last week that its New York City office at Silverstein Properties' 7 World Trade Center has been awarded LEED for Commercial Interiors Gold certification. The law firm is now one of only three in New York City that has earned a Gold rating under LEED-CI. WilmerHale moved into its space at 7 WTC in July of 2012. The 52-story, 1.2 million-square-foot tower - which is now 100-percent leased - was the first commercial office building in New York City to earn a LEED Gold designation from USGBC back in 2007. Specific green features within WilmerHale's space supporting its LEED-CI Gold application include optimized energy performance when it comes to lighting, HVAC, equipment and appliances; reduced water usage; increased ventilation; convenient access to public transportation; as well as bike racks, changing rooms and showers. Various regional materials were used during construction of the space, which features glass-walled offices flooding the interior space with natural light and reducing the need for corridor lighting, as well as Energy Star-rated appliances and equipment and ongoing storage and collection of recyclables. 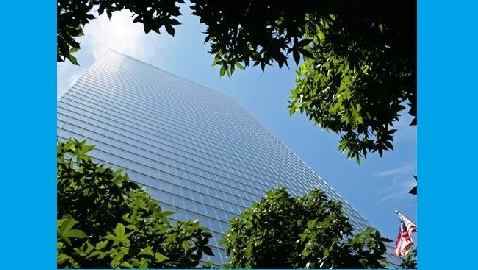 WilmerHale's LEED certification isn't the only environmental milestone the law firm has celebrated in connection with its 7 World Trade Center offices. It remains the only private sector tenant - to our knowledge - that has implemented New York City's Energy Aligned Clause within a commercial office lease. As you may recall, the Clause was developed by a task force organized by the Mayor's Office of Long-Term Planning and Sustainability. It aims to address the much-discussed split incentive, which remains prevalent in most commercial office leases in New York City and refers to the scenario where a landlord pays for building capital improvements but does not benefit from any reductions in operating expenses that are created because its tenants pay for operating expenses under the terms of the lease. This is because although many commercial office leases do allow landlords to pass the costs of capital improvements through to tenants, the time frame for the landlord to recoup those costs - typically over the working lifetime of the improvement, which can extend for decades - creates a practical impediment to landlords actually making any energy-efficient capital improvements to their buildings in the first place. The Clause aims to address this imbalance: once qualifying improvements are made, tenants should not only realize actual savings, but will pay the landlord 80 percent of their projected savings as assessed by an independent, NYSERDA-approved engineer (creating a buffer in case savings are not as projected) as part of building operating costs. After the payback period (cost divided by projected savings) for the improvement expires and compensates the landlord for its investment, the tenant continues to enjoy the benefits of the energy savings. While most young entrepreneurs hole up in co-working spaces, a few lucky ones are running their firms out of 7 World Trade Center -- for free. "I call it an accelerator with an unfair advantage," said venture capitalist Charlie Federman, who co-founded SilverTech Ventures with fellow VC Lawrence Wagenberg, and Silverstein Properties President Tal Kerret. The most "tangible" contribution is free real estate. But SilverTech also offers business advice, access to its network of entrepreneurs and investors, and roundtables with key people in tech. SilverTech is an accelerator without a built-in timetable. Unlike many accelerators, SilverTech doesn't operate on a cohort system, so there's no set time that it brings startups on board and no end to the relationship. According to Federman, entrepreneurs often need to shift or "pivot" their product. SilverTech embraces this, and Federman says they have the conversation upfront. "We'll work with them as they meander right and left. We give them the gift of time," said Federman, who has been investing in startups since 1998. It is a venture capital firm -- but it doesn't take large amounts of equity. Federman said SilverTech's equity is "generally in the single digit percentages" and varies depending on the company. "We're not really interested in control and board seats ... we find that we're probably most effective if we don't have that," he said. SilverTech also takes in some startups for no equity. Graduates of Cornell Technion's Runway program -- a post-doc accelerator for tech entrepreneurs -- get the option to participate in SilverTech for up to one year after graduation. "They'll get all the benefits," said Federman. "All I ask in return is that they try to build a great company." Federman said the benefit for SilverTech is exposure to talented entrepreneurs and their innovative ideas. Currently, two of the four startups in SilverTech are from Runway. It's a co-working space -- but doesn't charge rent. SilverTech offers up free space on the 10th floor of the esteemed 7 World Trade Center, the first building to open post-9/11. The floor can fit 30 people comfortably (about 10 to 15 startups). By August, SilverTech will move to 4 World Trade Center, which will fit up to three times the number of people. It's not the real estate developer's first time working with startups. Two years ago, Silverstein Properies opened up the 46th floor of 7 World Trade Center to young companies. But the roughly 40 firms that work there pay for space -- anywhere from $450 to $950 per seat. Unlike with SilverTech, there's no equity or hands-on counsel. SilverTech participants have the option to upgrade their offices by paying rent at Silver Suites, on the 46th floor. Kerret was once in the shoes of those he's now helping. Prior to Silverstein, he founded two successful startups: e-commerce firm RichFX and gaming provider Oberon Media. "I think what they're doing is a good move, both financially and philanthropically. They believe in New York as a startup hub. They're taking their stake in it," said Roi Klipper, founder of e-commerce startup City Hive, which grew out of the Runway program and is now part of SilverTech. "Offering more of the same isn't going to cut it," he added. SilverTech plans to work with entrepreneurs across different industries -- not just real estate -- and at different stages in their growth. Crowdfunding real estate firm Fundrise has raised $35 million, while LiquidTalent, a marketplace that helps contract workers find jobs, has raised just $650,000. For LiquidTalent, the free rent is key. "It allows us to invest in the technology, the team. We're able to allocate resources more efficiently," said founder Alex Abelin. "Not having to pay rent really helps low burn rate." He's no stranger to cool office digs -- he worked at Google (GOOG) for eight years -- but he knows that an entrepreneur's lifestyle isn't always so posh. "We were working from home and cafes when we started," he said. "Having clients come to this building, it looks and feels a lot better. We feel more grown up, more professional. It's not just a project, it's a company. It really legitimizes [the business] when you have [a] World Trade Center address." Of the many turning points in the rebirth of downtown Manhattan after 9/11, none were as game-changing as the opening of 7 World Trade Center on this date 10 years ago. Booming downtown today is home to nearly twice as many people as in 2006. Two mighty office towers have opened at the 16-acre “Ground Zero” site and a third is rising. The memorial draws millions of visitors annually; the “Oculus” shopping complex will soon open; new hotels, stores and restaurants are popping up from river to river. But it all started with the new 7 World Trade — which was widely ridiculed as a white elephant when it opened its doors nearly empty on May 23, 2006. Despite a trickle of new residents, the area at the time remained forlorn. Office buildings struggled to find tenants. Street digs made much of the district below Chambers Street impassable. Across the street from 7 World Trade, redevelopment of the Twin Towers site was bogged down in a swamp of disputes involving developer Larry Silverstein, insurers, the Port Authority, then-Gov. George Pataki and then-Mayor Mike Bloomberg. The gruesome, charred hulks of the old Deutsche Bank building and CUNY’s Fiterman Hall still bracketed the scene at either end. Amdist the paralysis, Silverstein undertook a project of the kind most detested by the “glut”-fearing commercial real-estate industry: a “spec” office tower without a single one of its 1.1 million square feet pre-leased. His vilification began soon after he broke ground in 2002. The sniping came from rival builders, brokers who called him greedy, The New York Times and the Daily News. Bloomberg said Silverstein should charge the neighborhood’s “going rate” of $35 per foot rather than the $50 he was asking. The mayor wanted him to accept the rents of antiquated buildings — some of them 80 years old — for a state-of-the-art tower bristling with 21st century electronic, structural and environmental features. Shamefully, neither Pataki nor Bloomberg showed up for 7 World Trade’s ceremonial opening — even though the first new tower to replace one felled by Mohamed Atta & Co. seemed clear cause for celebration. But Silverstein’s vindication came swiftly. For one thing, 7 World Trade was unexpectedly beautiful. The sleek-skinned, trapezoidal tower designed by SOM’s David Childs mediated elegantly between street and sky. More important for the city, it gradually drew tenants, including Moody’s and German bank WestLB. It was near full by 2008. Some companies paid $70 per square foot. Suddenly, despite bleak prognostications that downtown would never fully recover, the World Trade Center and everything around it mattered again as a commercial destination. Even after 7 World Trade proved its detractors wrong, they still hissed that Silverstein hadn’t put more than a dime into the job, because insurance proceeds and tax-exempt Liberty Bond financing let him build without risking a thing. Reality check: Had 7 World Trade failed to draw tenants, it wouldn’t only have made Silverstein look like a dope — it would’ve crippled for years his ability to borrow. Worse, an empty tower would’ve killed off any chance of putting up new towers at the site, much less of drawing great companies such as Condé Nast and GroupM. Ten years later, let’s remember how many supposedly wise New Yorkers wished 7 World Trade hadn’t been built — and that one man’s stubborn vision prevailed over their pessimism and pettiness. Every landlord likes a piece of property next to a park. But it’s rare that developers take it upon themselves to actually make a park a part of their plans. But that’s what Silverstein Properties did at 7 World Trade Center after the original trapezoid-shaped building collapsed on 9/11. The original streetscape of the World Trade Center complex was reintroduced, and Silverstein constructed the new David Childs-designed 7 WTC, which opened 10 years ago this week, on parallelogram footprint. The developer was left over with a 15,000-square-foot triangular piece of land bound by Barclay Street to the north, Greenwich Street to the east and West Broadway to the west. Larry Silverstein, the chairman of the company, said if he was 20 years younger he would have built a 40- to 50-story condominium on the site. But at 72, he thought in a different light. It’s also something that’s either a public or private amenity for residential tenants in some properties. Silverstein recently installed a park between the buildings that makes up Silver Towers in Hell’s Kitchen, including playgrounds and a dog run, Mr. Silverstein said. Rudin Management Company also has employed that practice with a private park at 215 East 68th Street and a public one at 211 East 70th Street, according to William Rudin, the chief executive officer of the company. Zoning regulations required Rudin to develop a new 16,000-square-foot park on Greenwich Lane in the West Village as part of its 200-unit condominium project (also called Greenwich Lane) on the site of the shuttered St. Vincent’s Hospital. The company had to demolish a material handling facility and rehabilitate the existing green space, working with the community on the grand plan. The site also includes a 1,600-square-foot AIDS memorial.